1. 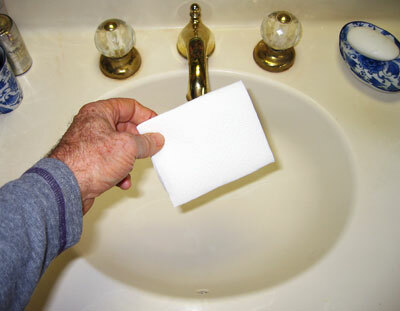 Start with a paper towel. 3. 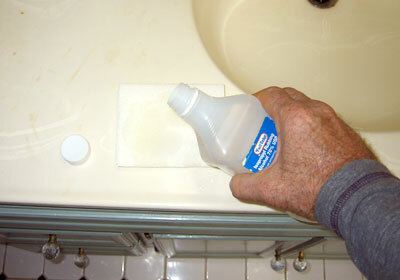 Place a small amount of rubbing alcohol (70% concentration) on one side – only about a teaspoon or so. 4. 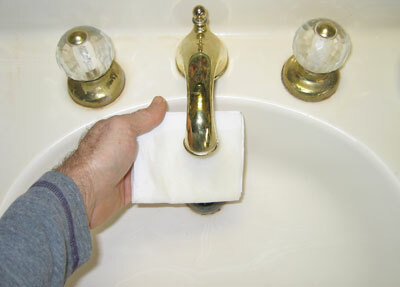 Turn it over and drip some water on the other side (the same amount as the alcohol). 5. 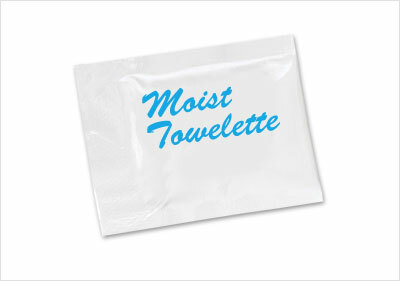 Place it in a re-sealable plastic sandwich bag and seal it up. 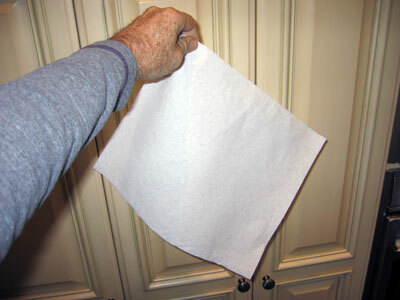 After a few minutes, the moisture will spread out evenly throughout the paper towel. 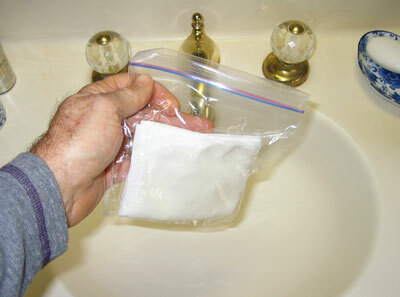 You can put it in your pocket and it should last for days or even weeks without drying out.